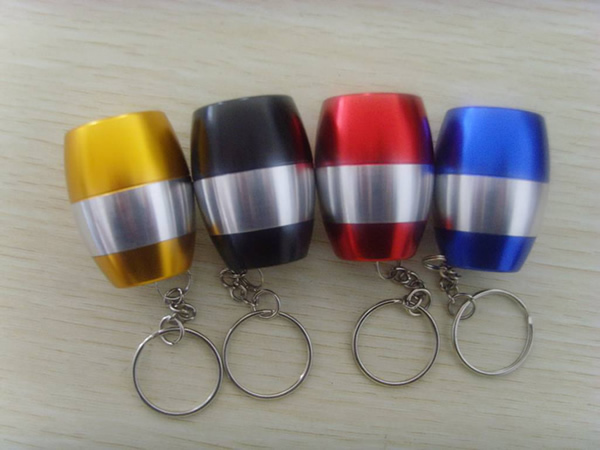 1 3/4" x 1 1/4" diameter LED barrel shaped flishlight keychain with key tag. 6 LED lights powered by two button cell batteries(to be included). Different color stripes are available. 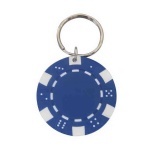 [Imprint size] 3/8" x 1/2"